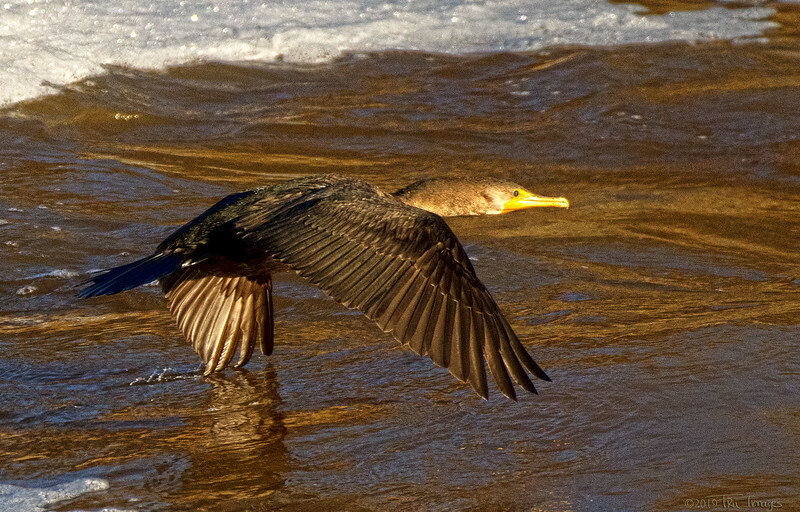 A cormorant, coming in for a water landing. sweet picture of the cormorant !! Lovely golden tones and a great low-level shot! Great shot of this cormorant in flight.